Well Aware is a nonprofit organization that aims to help local communities in East Africa find sustainable solutions to address water scarcity and contamination. 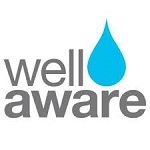 Well Aware aims to support its water projects with integrated project planning; technical evaluation; project oversight; promotion of partnerships; community training in sanitation and hygiene; and community empowerment. APPLICATION: Well Aware posts an online form for project requests. It also posts an application form that can be printed and sent by email. An application describes the water needs of the community; possible water solutions; the property situation (e.g., land ownership); the existing water infrastructure; partnering possibilities; and background information about local schools and clinics, electricity supply, crops and livestock, the rainy season, and other aspects of the local situation. While most current projects are in Kenya, the application form does not restrict the country. Applications can be submitted at any time; there is no deadline. Featured Projects can help applicants understand the types of community projects of greatest interest at Well Aware. Well Aware provides contact information for its office in Texas, USA.